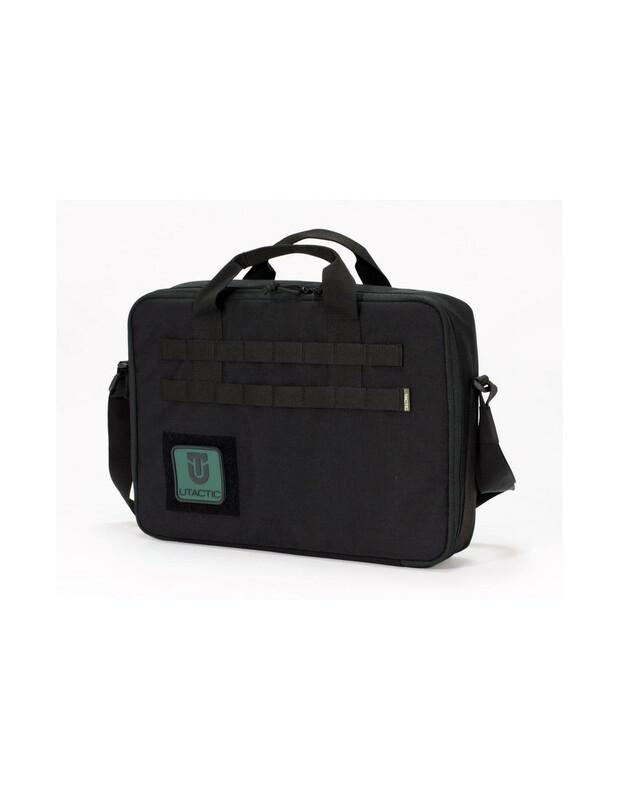 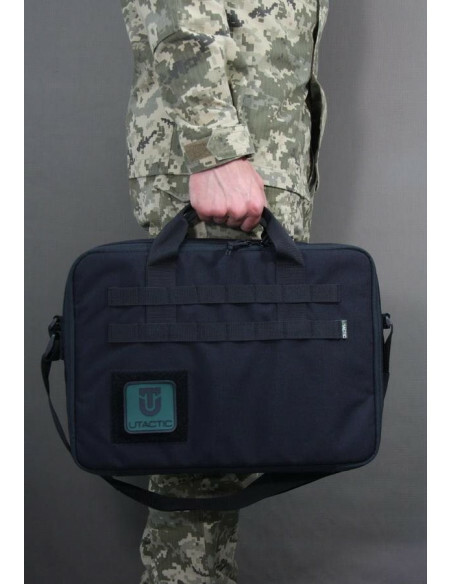 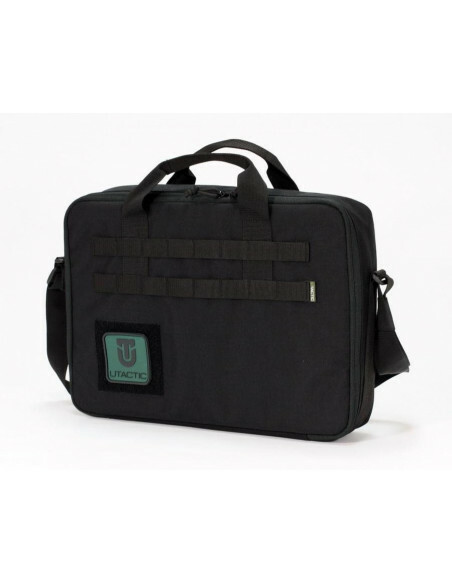 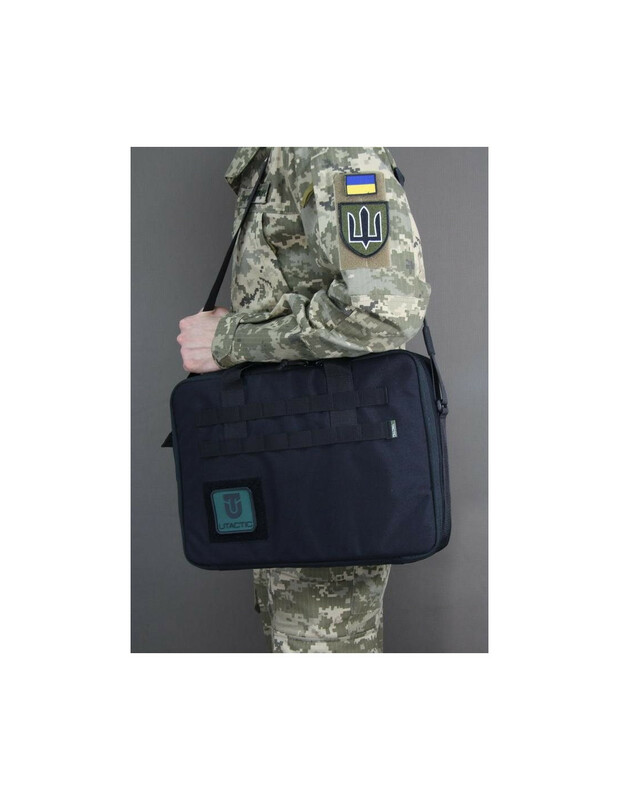 Utactic Documet Bag is a bag for every day that can be used for carrying documents, a laptop and the personal effects. 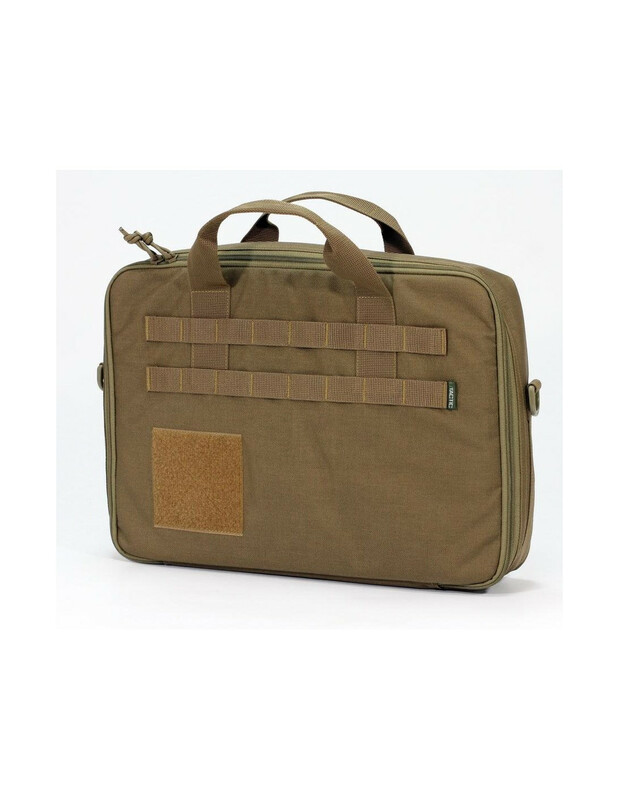 This is one-volume bag. 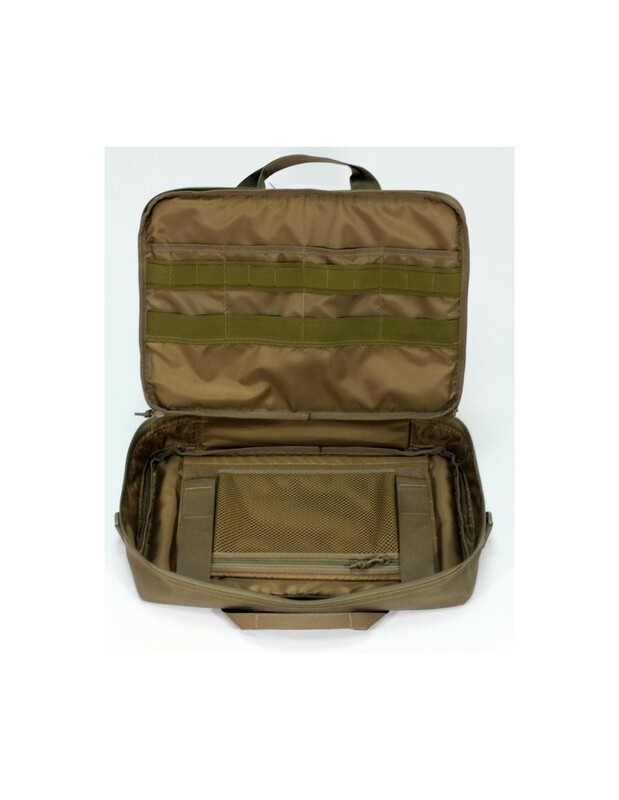 The front zipper with two locks opens 180 degrees on three sides. 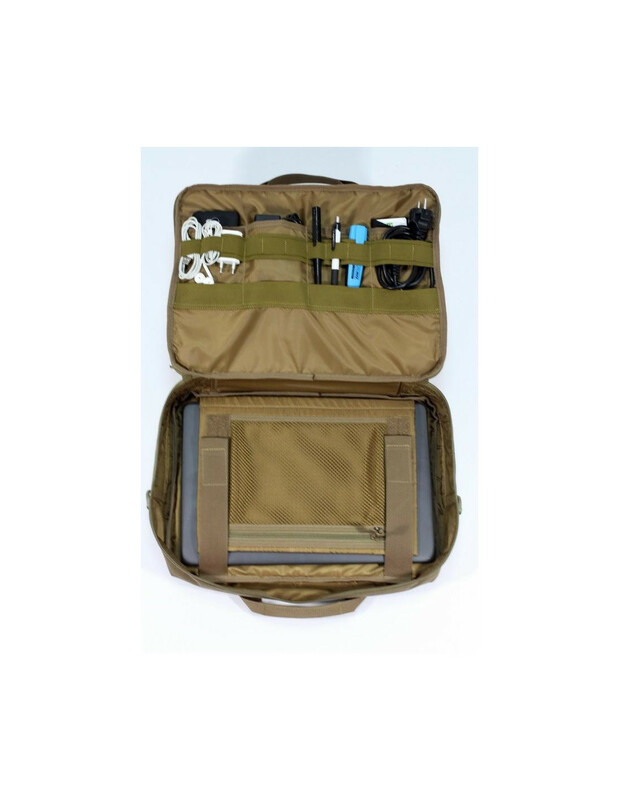 Four pockets and an organizer made of elastic bands for fixing small objects are placed on the inner front side. 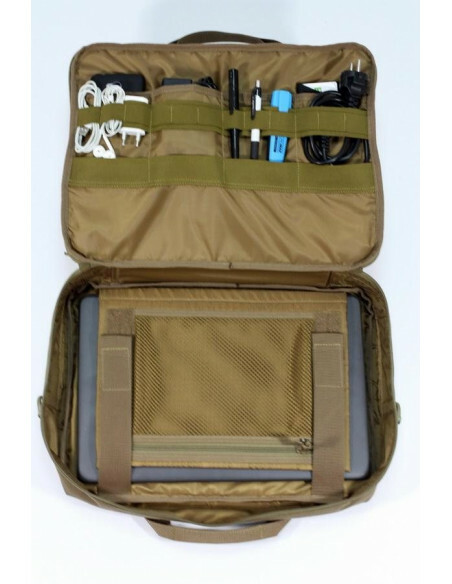 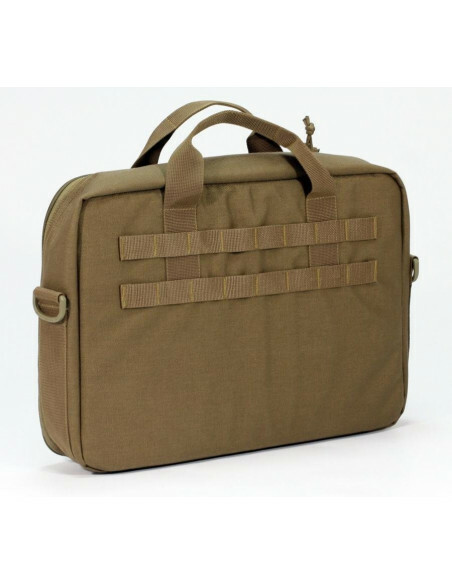 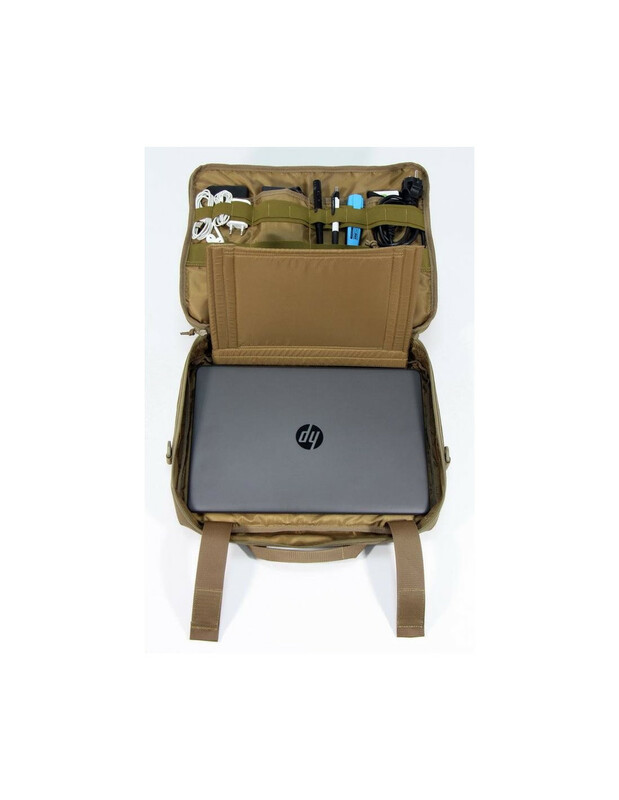 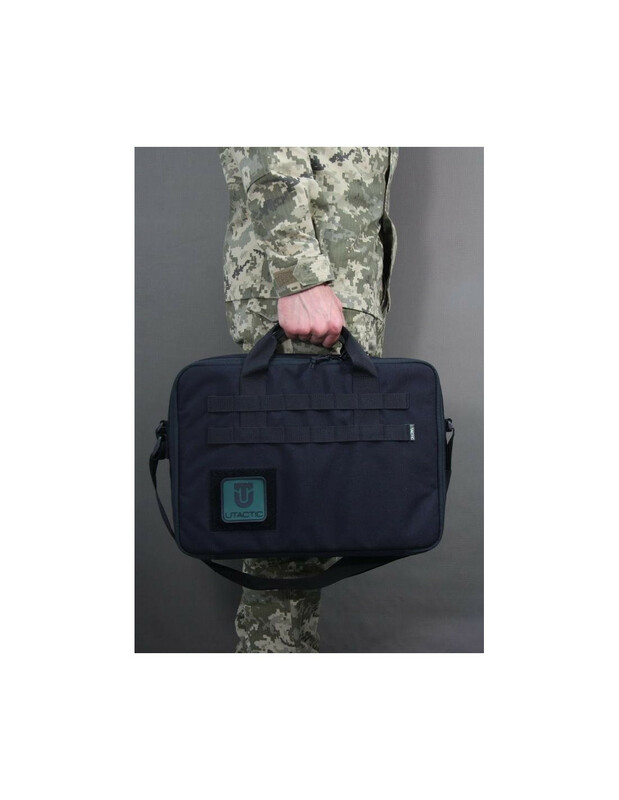 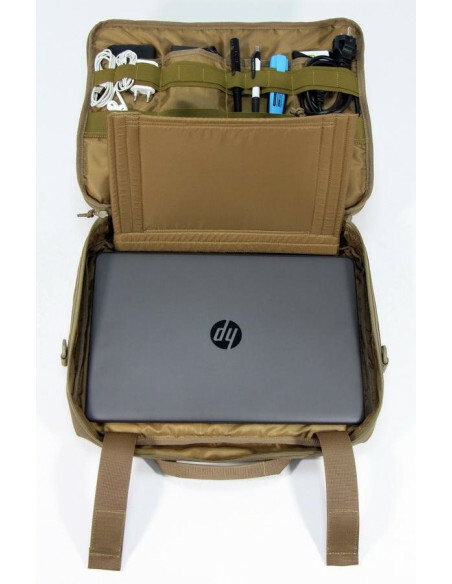 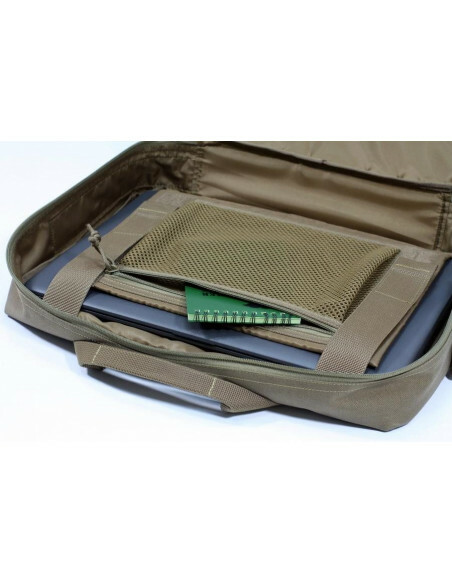 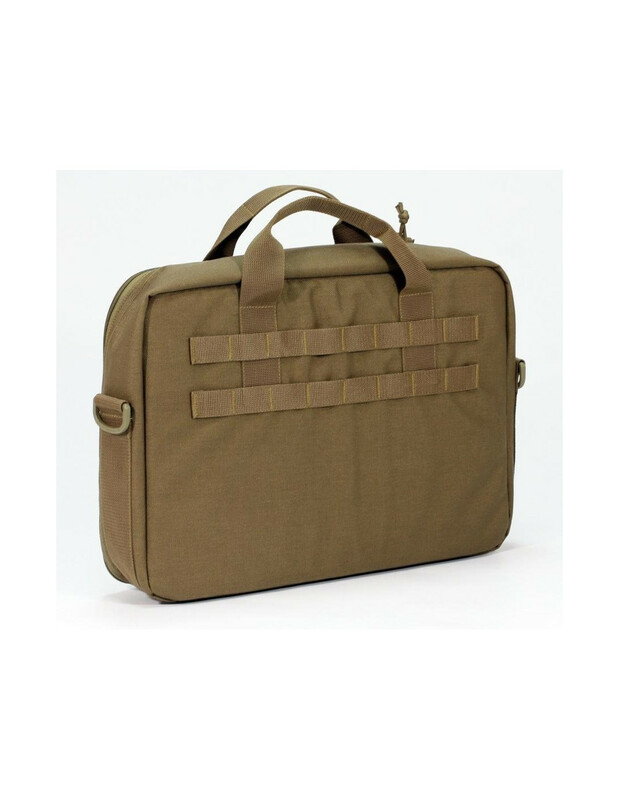 The main compartment has a division with a mesh pocket for fixing document folders or a laptop. 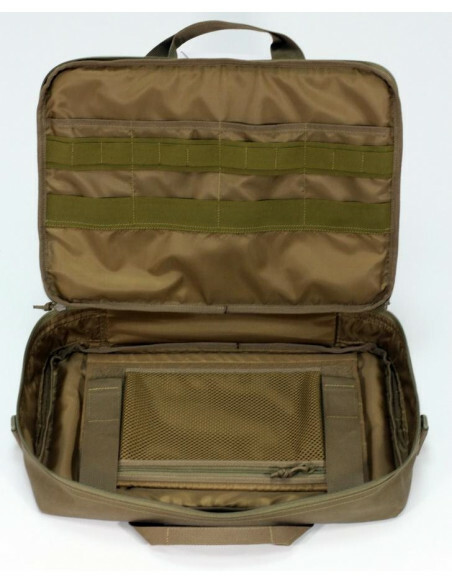 The partition is fixed with two bands on Velcro. 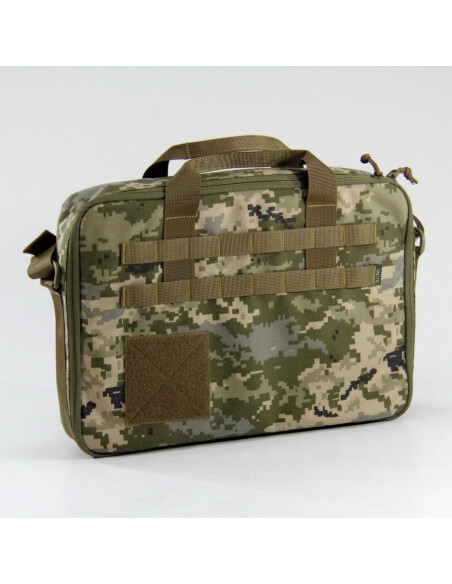 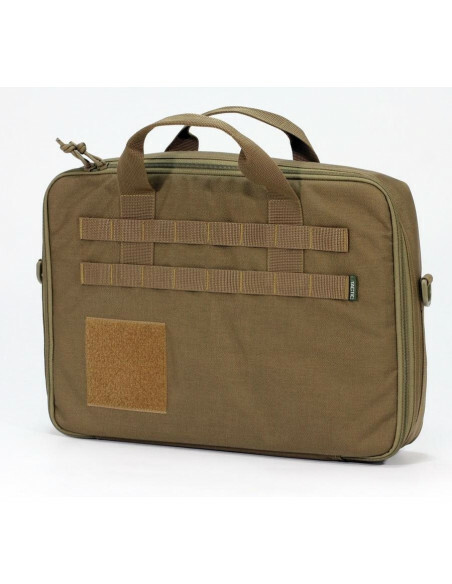 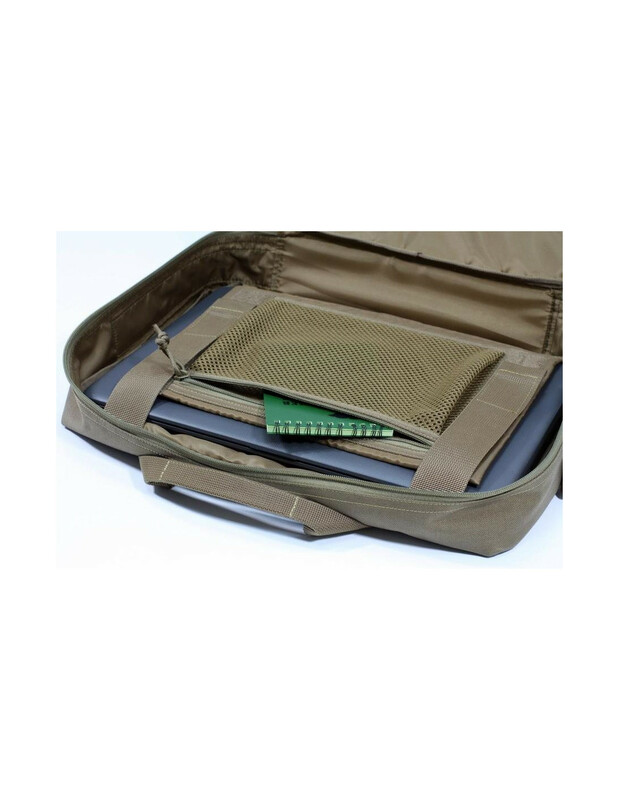 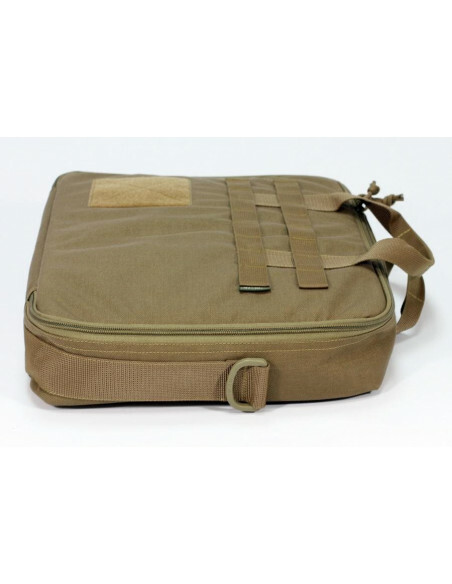 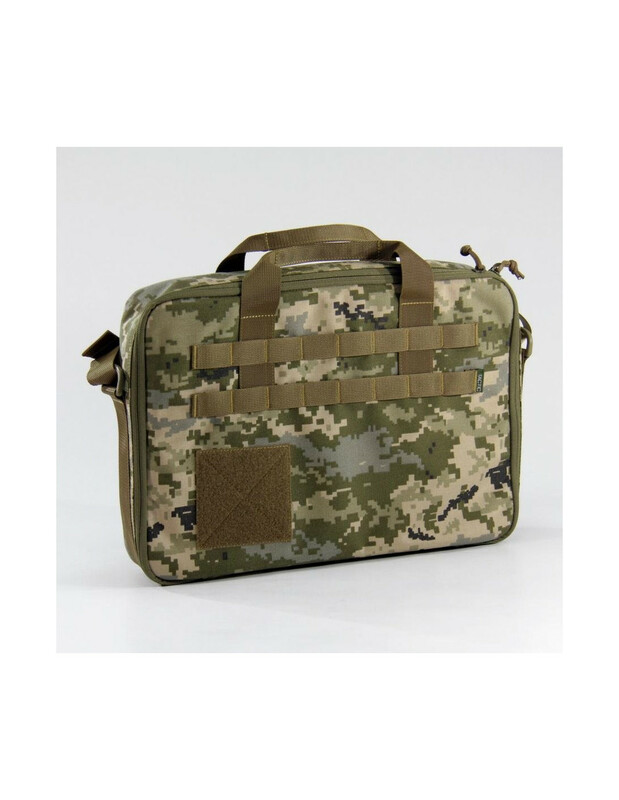 MOLLE interface is made on external face of the front and backsides. 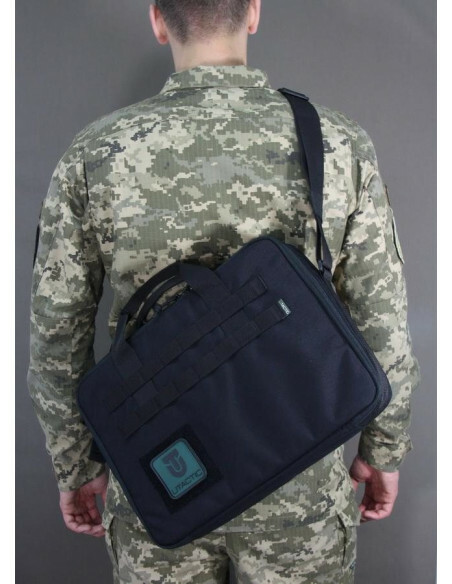 On the front side of the bag there is also the Velcro panel. 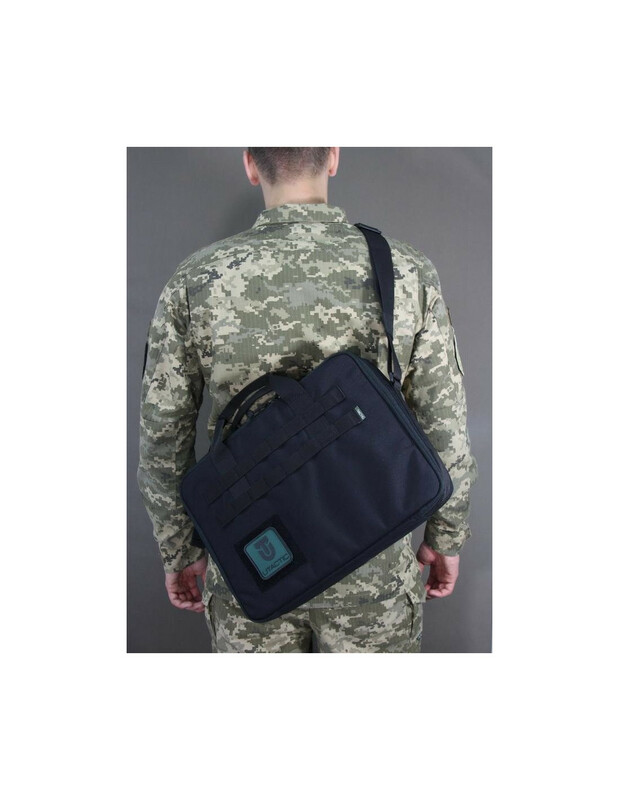 The bag has two carrying handles, as well as 2 D-rings fixed on the ends of the bag for fastening of the adjustable shoulder strap. 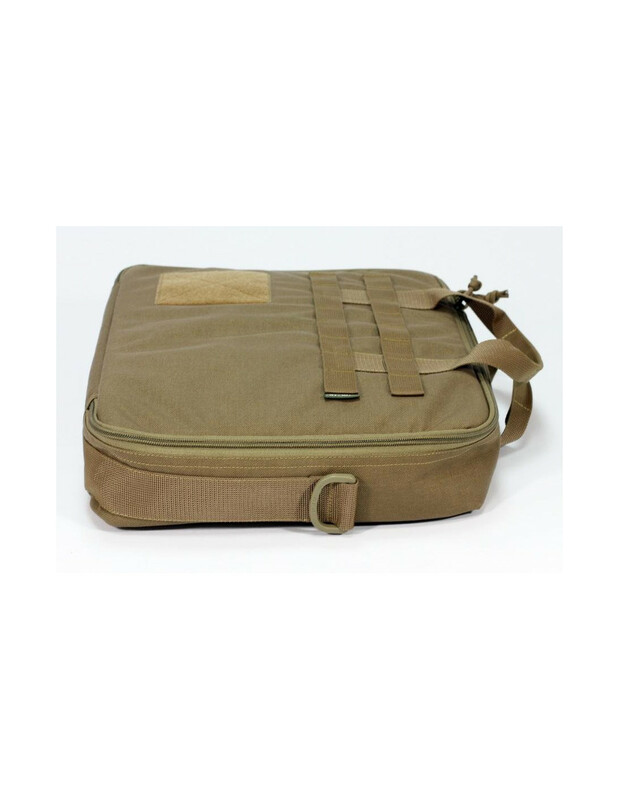 All sides of the bag are padded for staff protecting from the external actions. 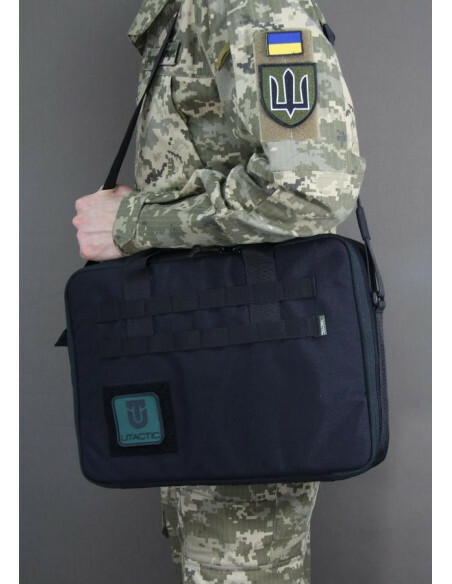 Overall dimensions 41 x 30 x 8 cm (width, height, depth).